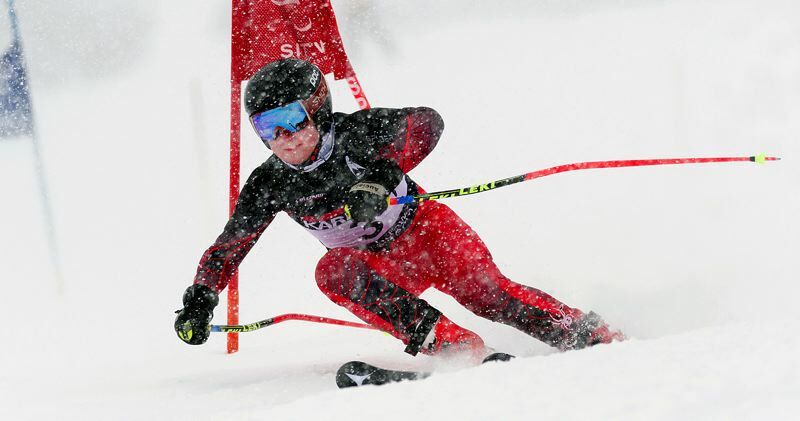 Local eighth-grader and alpine ski racer Levi Brown has been selected to represent the Pacific Northwest Ski Association at the Western Region U14 Championships in Jackson Hole, Wyoming, March 14-18. The Western Region includes only the top 60 qualifying alpine racers from 14 western states under the direction of the United States Ski Association. Brown is one of only four U14 racers selected from Oregon. Completing a remarkable comeback after suffering multiple compression vertebrae fractures as a result of a severe skiing injury on Mt. Hood last August, Brown bounced back in a big way. He won every slalom and giant slalom qualifier race in the season's Evergreen Cup series to become the region's top qualifier. Brown races for Mt. Hood Race Team & Academy in Government Camp and is a full-time student/athlete at Mt. Hood Academy during the winter. He will return to Lakeridge Junior High in April, and has been the recipient of enthusiastic support from the staff at LJHS. Other qualifiers for the championships from the same division of PNSA include Brown's teammate Remy Bourgault, Patrick Du (Schweitzer Alpine Racing School), Stuart Goodbody (Meadows Race Team) and Chris Hulbert (Multnomah Athletic Club).